Leaves skin fresher and cleaner. 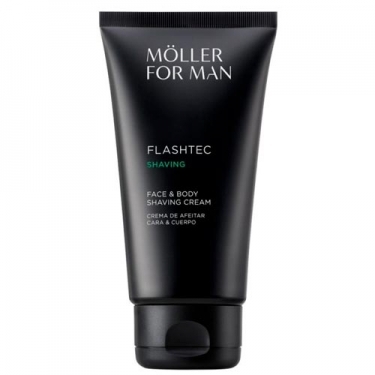 DESCRIPTION: Flashtec Face and Body Shaving Cream from Anne Möller is a shaving cream for the face and body that moisturizes and cares for the skin. 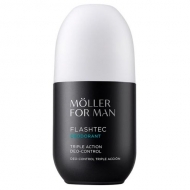 Its special texture helps the blade or razor to slide, avoiding cuts on the face as well as the body. You will feel refreshed thanks to its revolutionary active-principle transport capsule, Noisome Elastic Complex, which can penetrate the skin barrier to release active moisturizing and protective active ingredients, as well as providing comfort to the skin surface. Spread a small amount of product in the area to shave, with or without water massaging in small circles; Gently slide the blade or razor; Rinse with plenty of water and dry with a towel giving little touches.